What if the long-held cholesterol-heart disease link is largely bro-science? This expert argues precisely that—and names the heart killers that should worry you instead. Trying to prevent heart disease by lowering cholesterol is like trying to prevent obesity by cutting out lettuce. Last year, cardiologist Stephen Sinatra, M.D., and I came together to write a book titled "The Great Cholesterol Myth: Why Lowering Cholesterol Won't Prevent Heart Disease–And The Statin-Free Plan That Will." We believe that a weird admixture of misinformation, scientifically questionable studies, corporate greed, and deceptive marketing has conspired to create one of the most indestructible and damaging myths in medical history: that cholesterol causes heart disease. The real tragedy is that by putting all our attention on cholesterol, we've virtually ignored the real causes of heart disease: inflammation, oxidative damage, stress, and sugar. These are things we can actually do something about using food, supplements, and lifestyle changes, none of which have the costs—or the side effects—of prescription drugs. It turns out that cholesterol is actually a minor player in heart disease, and that lowering cholesterol has a surprisingly limited benefit. I haven't come to these conclusions lightly, and I wouldn't expect you to take them at face value. The case against cholesterol as a cause of heart disease, or even as an important marker for it, has been crumbling steadily for decades. Yet getting the information out there is difficult. The two top cholesterol-lowering medications, Lipitor and Zocor, together bring in roughly $34 billion each year for their makers, who have a vested interest in keeping the cholesterol theory alive. And they're hardly the only ones who do. In the 1990s, French researchers decided to run an experiment to test the effect of different diets on heart disease.1 The Lyon Diet-Heart Study took two groups of men who had every risk factor imaginable for heart disease. All of them had survived a heart attack. They had high cholesterol, they smoked, they didn't exercise, and they had high levels of stress. 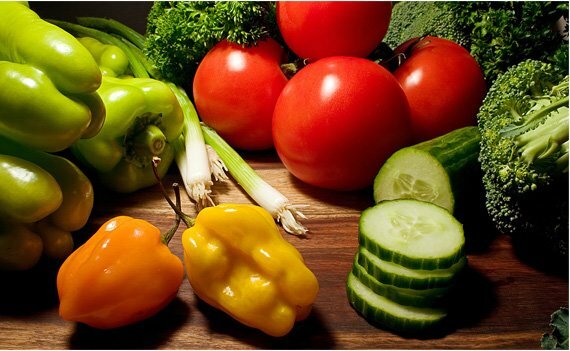 Half the men were advised to eat the American Heart Association "prudent" diet (low saturated fat and cholesterol), while the other half were advised to eat a Mediterranean diet high in fish, omega-3 fatty acids, vegetables, and monounsaturated fats such as olive oil. The study was stopped midway because the reduction in heart attacks in the Mediterranean group was so pronounced—70 percent!—that researchers decided it was unethical to continue. So what do you think happened to the cholesterol levels in the men who ate the Mediterranean diet and had a 70 percent reduction in deaths? You'd think those levels must have dropped like a rock, right? Think again. Their cholesterol levels didn't budge; they were just as high when the study was stopped as they were when the study began. The men just stopped dying. Cholesterol had nothing to do with it. So if cholesterol isn't the cause of heart disease, what is? Here's the short answer: The primary cause of heart disease is inflammation. Small injuries to the vascular wall—which can be caused by anything from high blood pressure to toxins—cause oxidized (damaged) LDL particles take up residence in the area. The immune system responds by sending inflammatory cytokines to the "rescue," eventually resulting in plaque and an increased risk for heart disease. If there were no inflammation, the arteries would be clear. The following is my six-point program for reducing the risk of heart disease. Note that lowering cholesterol isn't on it. Note also that managing stress is. Stress is a powerful contributor to heart disease. Stress hormones create inflammatory events that may explain why 40 percent of atherosclerotic patients have no other risk factors. Reduce intake of grains, starches, sugar, and omega-6 fatty acids. Supplement with antioxidants, vitamin C, Coenzyme Q10, and omega-3 fatty acids. Ask your typical mainstream doctor about nutritional supplements, and the first thing you're likely to hear is this: "There's no good research showing they work." I've heard this refrain time and time again when I discuss nutritional medicine with my more conservative colleagues. You or your doctor can go online to the National Institute of Medicine's library, www.pubmed.com, put into the search box virtually any vitamin or herb you can think of and, depending on what you choose, hundreds to thousands of citations will pop up. So the problem isn't an absence of research. The problem is twofold. One, the conventional training of medical doctors in this country is highly biased toward pharmaceuticals. From the time they enter med school, doctors are courted by the pharmaceutical companies in myriad ways, some subtle, some not-so-subtle. 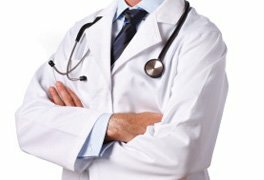 Free lunches, symposiums, honorariums, consulting and lecturing contracts, vacations, perky pharmaceutical reps showing up at offices with the latest studies that show their products in a favorable light, and free samples all create a culture in which pharmaceuticals are the first choice in any treatment plan. The other part of the problem is that much of the research on vitamins flies beneath the radar. Your overworked doctor barely has time to scan the abstracts of the New England Journal of Medicine every month, let alone dig deeply into the hundreds of studies that are published every year on vitamins and nutrients in journals such as the American Journal of Clinical Nutrition. The vast majority of doctors in this country get no training whatsoever in nutrition, and those who do receive only the most rudimentary and superficial introduction to the subject. Put this together with the built-in medical school bias in favor of patent medicines, and it's easy to see why doctors often fail to think of natural substances as legitimate tools for keeping people healthy. Many supplements are beneficial for heart health. Here's a short guide to the most important ones. If you're not taking these, perhaps you should be. Omega-3's should be part of everyone's heart-healthy nutrition program. Come to think of it, they should probably be part of everyone's nutrition program, period! CoEnzyme Q10 is fuel for the heart. It's made in every cell in the body, and your ability to make it diminishes with age. It's virtually unavailable in any meaningful amount from food. It's also depleted by cholesterol-lowering medications, so if you're on one of those you simply must consider supplementing with Coenzyme Q10 on a daily basis! D-Ribose is a five-carbon sugar and one of the components of ATP, the energy molecule the body uses to power all activities. Without D-ribose, there is no ATP; without ATP, there is no energy. Carnitine acts as a kind of shuttle bus, loading up fatty acids and transporting them into tiny structures within the cell called the mitochondria, where they can be burned for energy. Because the heart receives 60 percent of its energy from fat, it's very important that the body has enough L-carnitine to shuttle the fatty acids into the heart's muscle cells. Magnesium supplements are a must for those who want to protect their heart. They help control blood sugar and relax the lining of the blood vessels. And almost all dietary surveys show that Americans aren't getting nearly enough. When magnesium is depleted, intracellular calcium rises. 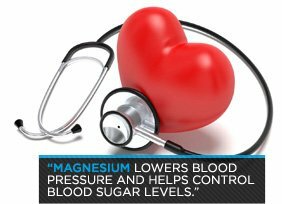 When you have an adequate amount of it, magnesium dilates the arteries, reducing blood pressure. This makes it far easier for the heart to pump blood, and for blood to flow freely. Pantethine is a metabolically active—and somewhat more expensive—form of Vitamin B-5, or pantothenic acid. No fewer than 28 clinical trials in humans have shown that pantethine produces significant positive changes in triglycerides, along with increases in HDL cholesterol.4,5 In all of these trials, virtually no adverse effects were noted. The mean dose of pantethine in these studies was 900 milligrams a day, given as 300 mg three times daily. That appears to be the optimal dose, and it's the one I recommend. Vitamin C is one of the most powerful antioxidants in the world, and because heart disease is initiated by oxidative damage caused by free radicals, any help you can get in the antioxidant department is a good thing. And it's not just theoretical: a large 2011 study in the American Heart Journal found that the lower the level of vitamin C in the blood, the higher the risk for heart failure.6 Take 1,000 to 2,000 mg a day. Resveratrol is the much-discussed health-boosting ingredient in red wine. It helps protect the arteries and improves their elasticity, among numerous other benefits.8 Not a bad resume! The recommended dose is 200 milligrams a day of trans-resveratrol, the active component of resveratrol. Read labels carefully; many won't tell you how much resveratrol is of the trans variety. Plant chemicals in cocoa known as flavanols help the body synthesize the compound nitric oxide, which is critical for healthy blood flow and healthy blood pressure. Nitric oxide improves platelet function, meaning it makes your blood less sticky. It also makes the lining of the arteries less attractive for white blood cells to attach to and stick around. Lowering cholesterol and lowering the risk of heart disease are very far from the same thing. The former is almost irrelevant. The latter is important, and there's a lot you can do about it that doesn't involve taking prescription drugs for the rest of your life. DeLorgeril M, Salen P, Martin JL, et al. Mediterranean diet, traditional risk factors, and the rate of cardiovascular complications after myocardial infarction: final report of the Lyon Diet Heart Study. Circulation, 1999;99:779-785. Chren, MM., Interactions between physicians and drug company representatives. American Journal of Medicine, 1999;107:182-183.